New for 2013 Sled full of Snowmen! 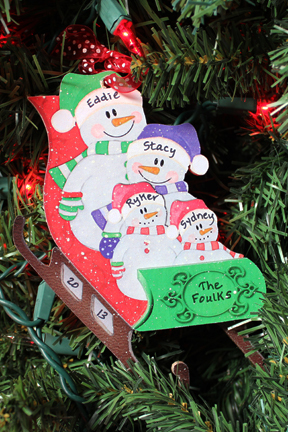 Don't miss out on our new family ornament for 2013. Whimisical and fun a sled full of snowmen! This year's ornament comes on the website from 2-12 people and Single Dad or Mom with up to 3 children. Need a larger number of people? We can do it, just email us at countrycrafts@countrycraftsonline.com!! » New for 2013 Sled full of Snowmen! » Follow us on Facebook!!! !